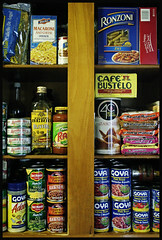 Literanista: Just Say "No" to MSG! I just found your blog. Fun stuff that I will have to come back to! To think that I have used sazon in all of my recipes, thanks for the info. I really like the links and will be putting them to good use. Let me know how your cooking turns out. I will be home brewing some things now - thanks. Even commercially-made Mojo Criollo is made by some brands w/ the unnecessary MSG. I am so glad that a latino has given the rest of us the truth. I, of course, knew the risks MSG could pose to one's health but even Badia has a sazon Tropical without MSG that taste almost similar to it's Sazon Completa with MSG. Some brands have it and others do not. The Badia version is just as bad. Has ingredients that go with the free glutamate. Wow great Post! I will try your homeade sazon recipe too. Also I think that all of us should write a letter or email to Goya telling them that we will ban their products until they get rid of the msg. Or maybe you can start a petition that we can all sign.. ?? OK I'm so late to this game! I see this was posted in 2007! But I've been on a search for an Adobo substitute, Being Puerto Rican as well I need my food full of flavor! Thanks for these tips! Great to be visiting your blog again, it continues to be months for me. Well this post that i’ve been waited for so lengthy. I will need this post to total my assignment within the university, and it has exact same topic together with your article. Thanks, excellent share. Autolyzed Yeast,Hydrolyzed Oat Flour,and Corn Oil. The next following may contain MSG and they are: Carrageenan,Enzymes,Soy Protein Concentrate,Soy Protein Isolate,and Whey Protein Concentrate. Please become familiar with these terms and read the labels and chances are if you eat out you are getting MSG, even if they say its MSG Free. Great post. I was pretty devastated myself. Me the guy that preaches reading labels never bothered to notice that my favorite seasonings since birth were chock full of MSG! I'm thankful I hadn't posted any recipes yet with them. I was rather upset that Goya would choose to not have alternatives to this. Thanks for the links. The mrs. And I will be taking some time out to make our own seasonings. Goodbye magic in a packet! I blend a head of garlic, 1 green pepper, 1 onion, 2 TBL olive oil, 2 handfuls of coriander leaves, several pinches of sea salt & fresh cracked pepper. This is what is used to make delicious puerto rican meals all week long! I would love for you to post one for "Sazon Rosada" (the Goya seasoning with Cumin and Annato- the box it comes in is pink). I've tried to perfect it but it's very tricky since cumin can be so powerful. Blasphemy I say! Msg is as versatile of a seasoning as salt, but makes food taste even better in comparison. Ramen just isn't the same since they've been making it with "no added msg". If your the type to pull plants from the ground and munch on them I understand your concern for putting raw untouched food in your body and that msg being a naturally man-synthesized chemical could not be an option. However everyone knows too much of anything can be a bad thing. If you don't overdo it, it can be a great seasoning for almost any dish.